Hello beautiful people? Hope your week so far is productive and enlightening. Mixing patterns and prints is something I love to incorporated into my daily outfits. Lately, I have lost my inner mojo and my wardrobe choices are feeling a little run of the mill. Call it lack of enthusiasm or too busy to exercise my quintessential Velvet Lope style. But I have to bring it back and place it on it's rightful throne. My rule for mixing patterns and prints is go with what feels comfortable. Because it doesn't have to match but it will definitely make sense. I know and heard this can be somewhat scary and daunting for a lot of ladies. It shouldn't scare you off because it will be as simply or eccentric as you make it. You can use pieces already in your closet to create a subtle every day look while looking super chic and oh the possibilities!!!! 1. A good rule of thumb for the intermediate fashionista is to start with 2 to 3 prints within 1 ensemble. Pair a classic structured pieces with a bold eccentric piece and maybe add in a conventional accessory like a statement bag. 2. 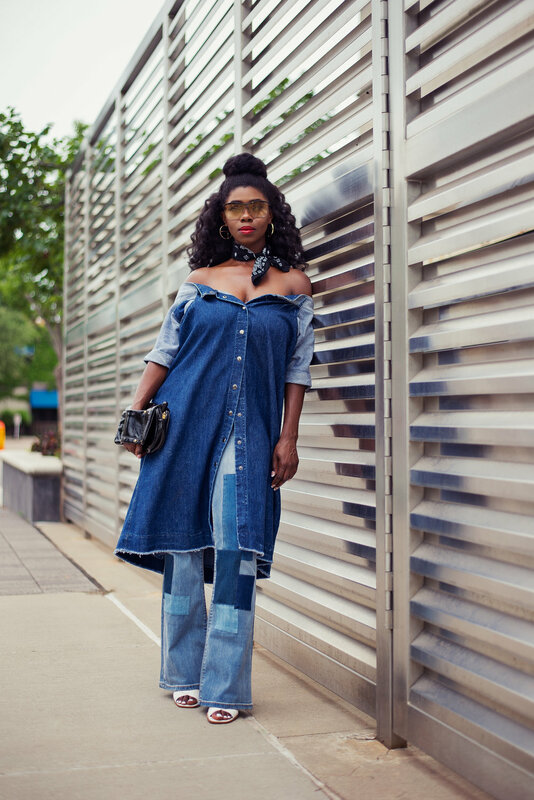 Take baby steps when attempting this style, you can try adding small touches, like a hat, stockings, or clutch in a different pattern or a funky fresh head wrap. 3. Find patterns and or prints that complement each other. To the untrained eye it may look like you got dressed in the dark. But trust me this look is a definite show stopper. Stripes, floral, and or vivid patterns always mesh well. Also look for construction of clothing that compliments because it will balance out the ensemble. 4. An easy no fail trick is to pair the same pattern like floral in complementary colors. As long as the patterns are in a similar scale you don’t have to find the exact print in different hues. Genius right!!!!! 5. Try mixing big prints with smaller ones. It will create fluidity and the overall look is visually appealing while still making a strong, not overwhelming statement. 6. Stay in the same color family, do not go over board (editing is key). It also helps if one of your prints function as a neutral like a blazer or trench coat. For my fashionista who want to start slow choose a star piece to work into the mix. A bold statement piece like sunglasses or clutch is a great starting point allowing you incorporate your outfit around it. Focus on a central piece and work your way into the bold & daring zone but always go with what feels right! With a little practice and confidence anyone can rock it!! Took a break from showcasing my personal style this week to focus on clients duties. But look out for a brand spanking new personal style post next week.